Marital Status: TAKEN, has a WAG — his childhood sweetheart, Caroline. Married in 2005. 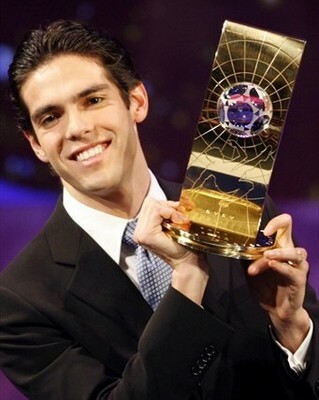 Interesting fact: Kaka was engrossed in religion starting at the age of 12 and is a devout evangelical Christian. He’s a member of “Athletes of Christ.” He wore a “I Belong to Jesus“ t-shirt under his jersey and openly after the final whistle of Brazil’s 2002 World Cup, and Milan’s 2004 Scudetto and 2007 Champions League triumphs. He also had the same phrase, along with “God Is Faithful,” stitched onto the tongues of his boots. So see ladies? He’s hot and he’s a stand-up guy. You can’t not love that.